An early Christmas present from Spotify? Spotify has announced a global press conference taking place in New York next week, at which it promises to unveil a 'new direction'. Everyone's favourite steel-eyed CEO Daniel Ek will be taking to the stage to share "some exciting news", accompanied by "a special guest or two", according to the invite. When pressed for more information, the much-loved music streaming service told All Things D, "At Spotify, we continually strive to innovate and deliver exciting new experiences for our users. 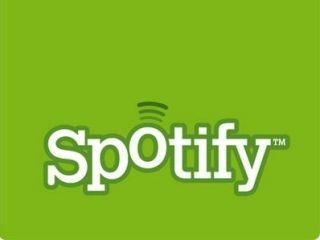 "In New York on 30 November, we are holding our first press conference to unveil the latest major development from Spotify – and a new direction for the company. "The press event will be hosted by CEO and founder Daniel Ek, along with special guests." The comments don't cast much more light on what to expect, although we're hoping for a redesigned interface and we know the company has been working on an iPad app for some time – perhaps its ready to take the wraps off that? But neither of those really count as a new direction for the music streaming service; given that Spotify thinks of itself first and foremost as a technology product, perhaps we're about to see some impressive new functionality. A new direction suggests a move away from music - could we be about to see Spotify for movies? It would certainly tick the new direction box, and the 'special guests' could be any well known Hollywood faces... We'll admit it's a long shot, but we'd love to see it happen. Given that this is posted as a "global press conference", we're hoping to hear more from Spotify's UK PR team over the next few days – stay tuned.